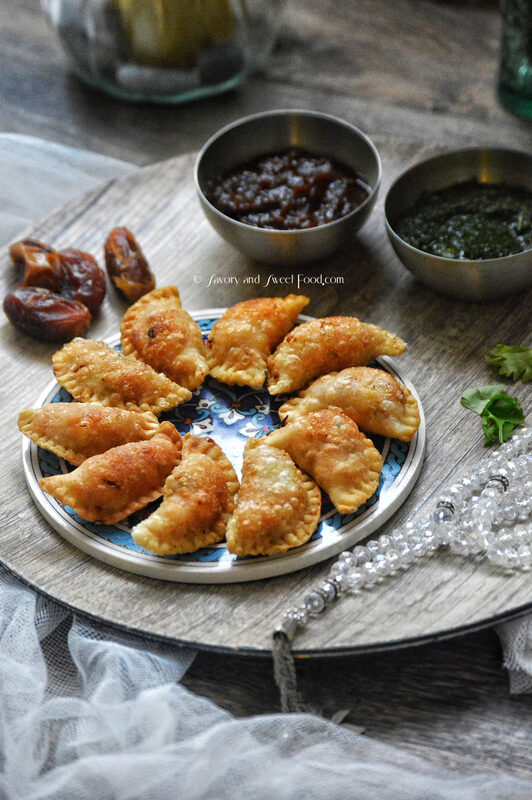 Kozhi Ada/ Koyiada/ Chicken pockets is a Malabar Muslim delicacy. These are crispy wrappers filled with a spicy and flavorsome chicken filling. 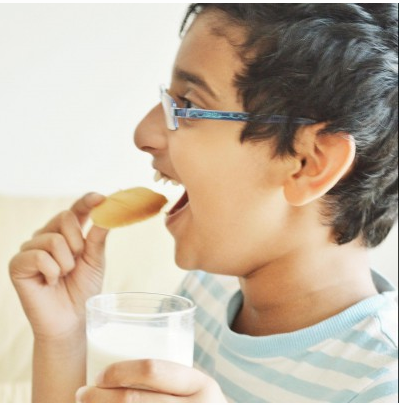 Kozhi Ada or Koyada as how we call it, is the most popular snack that comes from the North Malabar household. This is hands down my all time favorite appetizer. 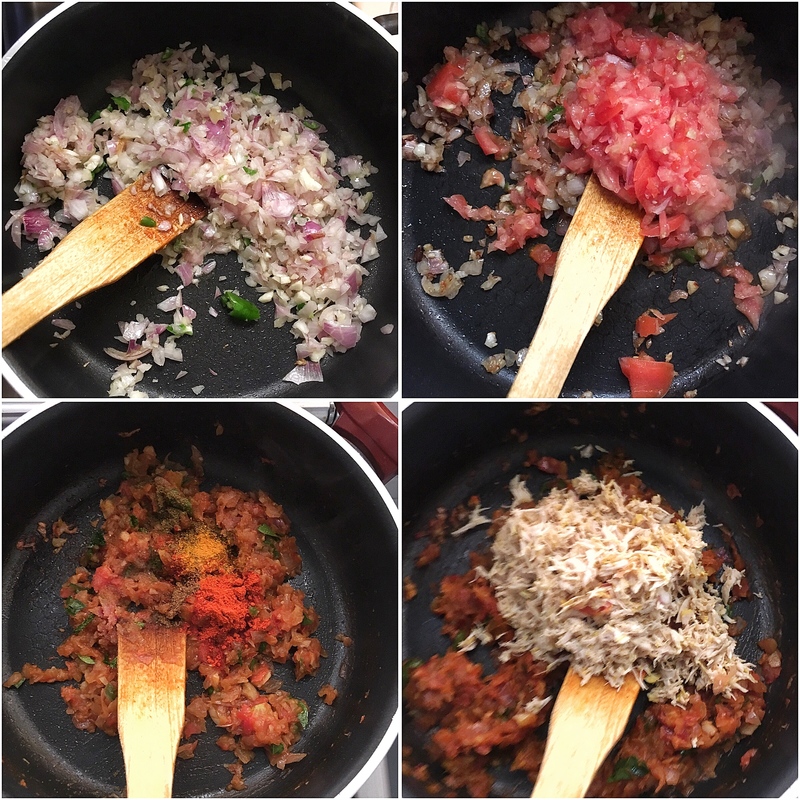 My mom makes the best koyadas and this is her recipe. We used to have this on our iftar table almost everyday when I was in Dubai at my parents place. But no Ramadan is complete for me without having this yummy snack and we had this yesterday for our first iftar of this year. I had made a huge pile of it and stored in my freezer beforehand. You guys should give this a try too, it is totally delicious. The dough has to be rolled thin to get crispy and light wrappers. You can prepare this ahead of time and freeze. In a bowl mix together flour, ghee and salt. Mix well with hands. Pour water gradually and combine with a spoon. Once the dough has come together, knead it well. You can add extra flour if dough is sticky. Oil the dough and let it sit for half an hour. Boil and cook the chicken with little turmeric, pepper and salt. Once cooked shred the chicken. In a pan add oil. Once it gets heated up add in the onions, ginger, garlic and green chillies and salt. Sauté till the onions turn soft. It doesn’t have to turn brown in color. Add in tomatoes. Sauté till soft. Add in the spice powders. Mix well. Add shredded chicken and combine everything together. 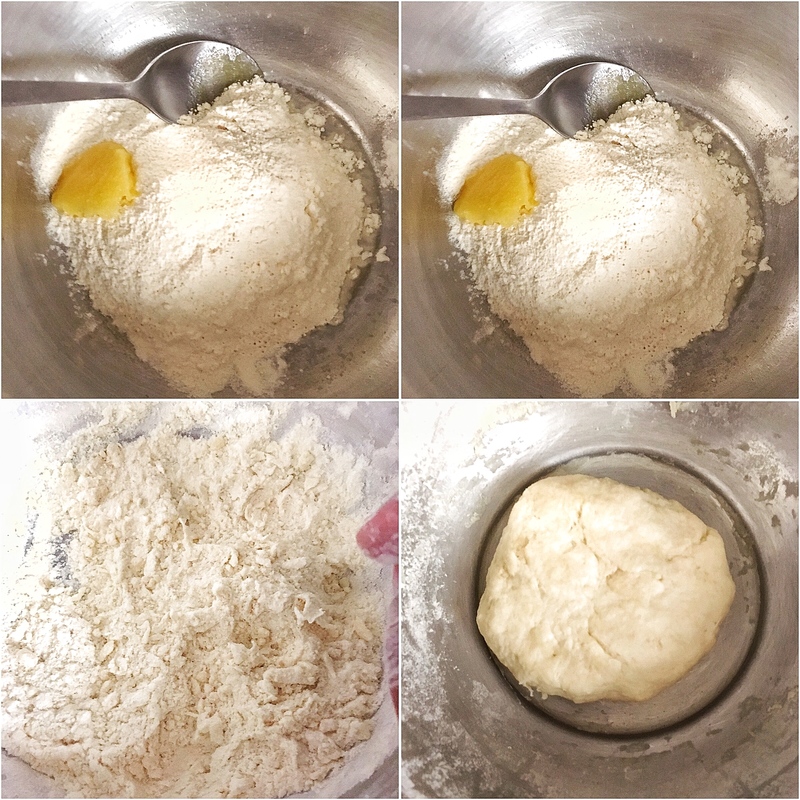 Take a piece of dough and roll it into a big circle. Try to roll it as thin as possible. Take a small cookie cutter and make small rounds. Place the chicken filling on one side of the circle. 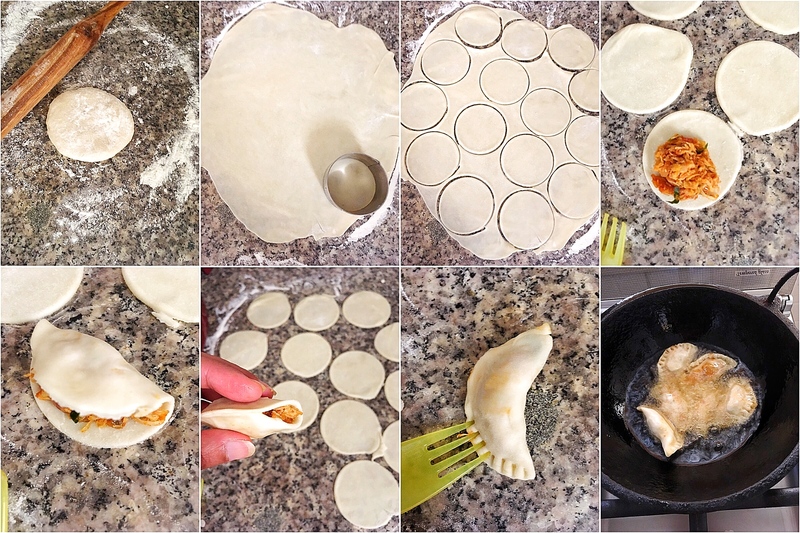 Fold it in half and press the sides to seal. Make a pattern with fork. 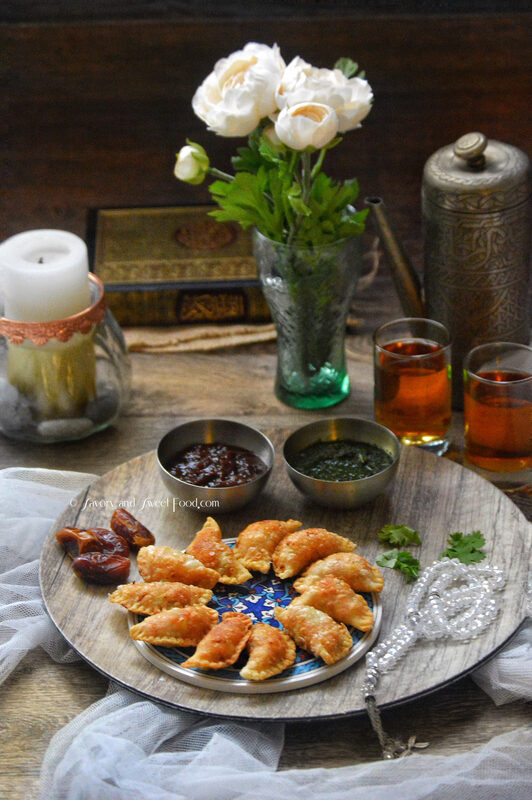 Kozhi Ada/Koyiada/ Chicken pockets is a Malabar Muslim delicacy. 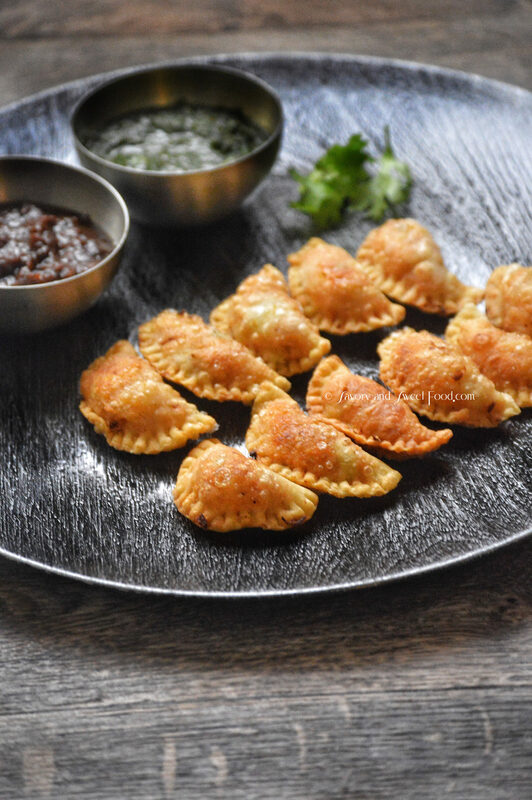 These are crispy wrappers filled with a spicy and flavorsome chicken filling. Sauté till the onions turn soft. It doesn't have to turn brown in color. 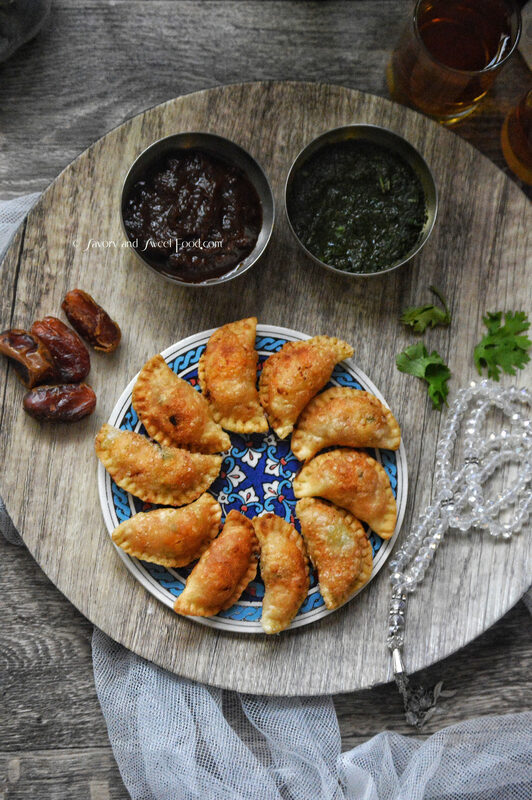 Aww..masha Allah loved reading the story behind this recipe..May Allah swt bless our mothers and keep them close to us always ameen .. jazakallah khair for sharing her recipe..can u pls tell me how I can freeze the dough before hand? I need to cut the rounds n roll n place one on top of the other or?? Ameen! Thank you so much. I am not sure if you can freeze the dough alone. I usually freeze after assembling the kozhi ada. For that I place the adas one on top of the other with cling wrap in between.